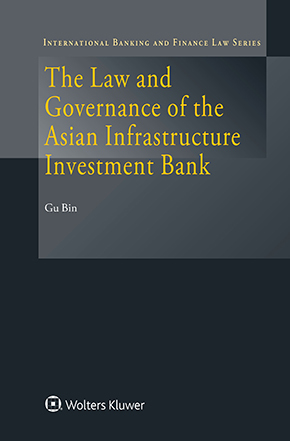 The Law and Governance of the Asian Infrastructure Investment Bank is among the first to offer an incisive introduction to the Asian Infrastructure Investment Bank’s (AIIB) law and governance, which are now essentially in place. The AIIB, which began operations in 2016 and now has an approved membership of eighty-four worldwide, has quickly become perhaps one of the world’s most promising agents of global economic development. With its firm commitments to the twenty-first century imperatives of cost-effectiveness, zero tolerance for corruption and active promotion of environmental sustainability, its clearly stated aims and requirements echo the goal of reform that other multilateral institutions are undertaking. Throughout, the author provides deeply informed comparisons with such existing multilateral development banks as the World Bank, the African Development Bank, the Asian Development Bank, the European Bank for Reconstruction and Development and the Inter-American Development Bank, as well as with the World Trade Organization. He shows how the AIIB not only emulates but also innovates while continuing to collaborate closely with these institutions. He suggests what should be done to optimize governance, standards and operations of the AIIB together with these peer institutions in a mutually emulating manner. Lawyers and policymakers involved in international economic law and related fields will welcome this nuanced and in-depth description and analysis of the AIIB. Its concomitant analysis of political economy and global governance issues is intended as a basic introduction for law students and lawyers. This book will be of interest to bankers, businesses, government officials and others looking for an overall understanding of multilateral development banking and China’s approach toward global governance in particular.